No matter what the reason of your blogging is (you can do that for business promotion, making money, or your own pleasure), your blog or website needs the audience. It's obvious, isn't it? Blogs can't live without visitors and readers, and your task is to make your blog really attractive to them. Do you have a plan of how to attract people to your blog? A plan is the main thing here actually, because it's not enough for a successful blogging to post new content from time to time. Just take a look at your blog as if it wasn't yours. Do you like it? Do you like its content and design? Is it user-friendly? Is it comfortable for a visitor to find all necessary information there? Just try to be honest, and make your blog readable and really attractive. The point is to make visitors come back again, that is why your blog should have something really catchy. So, let's imagine that you've made everything possible to create a really good, attractive, readable, and informative blog. Visitors come, read your posts, leave comments, share your links in their social media - the most important moment here is not to spoil everything! There are 4 simple but really harmful steps you can make to ruin your blog at once. We are here to tell you about them and help you avoid them. 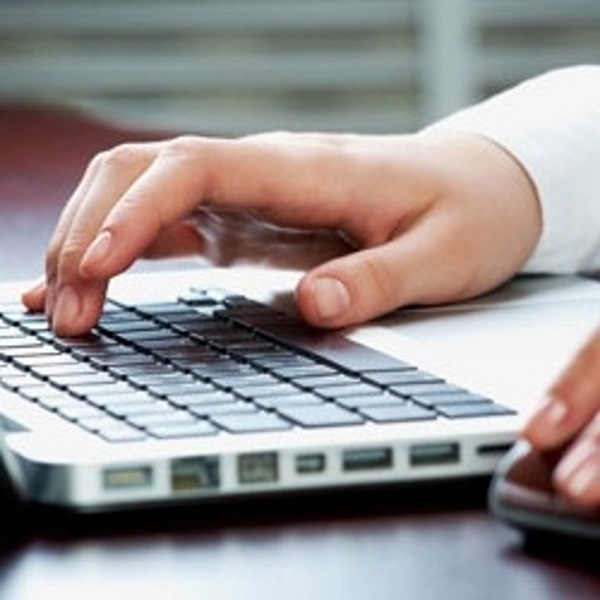 We bet your competitors update their blogs and websites once a week at least. That is why if the last post of your own blog is dated July 2010 for example, you may forget about visitors and traffic. No one is interested in blogs that tell them about iPhone 3 or the most popular movies of 2009. Update your blog regularly with really fun and engaging content. It will attract new readers, bring your blog much traffic. But don't forget about your niche: there is no need to post funny videos of cats, even if they are very popular on the Web today, if your own blog is about innovative technologies and new gadgets. The audience will hardly like that, you know. How many keywords do you use per post? Every blogger (even if he or she is a newbie) knows that keywords are good for his or her blog's SEO. Believe us, your readers are not stupid, and they will perfectly understand whether you wrote your post for them or Google; that is why there is no need to use many keywords in every sentence of your article. It doesn't look natural, it doesn't sound natural, and it will definitely not give your reader a desire to come back to your blog again. Remember, that you write for people, not for Google. Make your readers feel that they are more important to you than Google search results. How persistently do you promote your business? Even if you blog for business, it doesn't matter that all your content should be about good or services you provide. Remember the main rule of blogging: your blog is NOT for promotion (even if it actually is)! Try to share interesting and useful information with your readers. Believe us, they don't want to hear about your business all the time, and if you continue add nothing but different ads only, you will lose all readers very soon. You can tell about your business of course, but this information should come naturally, and it shouldn't bother your readers at all. How often do you respond comments? People read your blog, and they want to share their own opinion as for the problem you described in your post. Would it be pleasant to you, if you leave a comment and the author doesn't give you any replies? Try not to ignore the comments of your readers, especially if they disagree with you. Remember, that good debates can be a really good way to attract people's attention and make your blog even more popular as a result. If all comments of your readers are left without replies, they will hardly back again, as they see that no one pays attention to them here. About The Author: The article is provided by Alex Strike, a professional copywriter and blogger of http://writing-help.com, who always shares his opinion on such topics as Internet marketing, education, techs, and social media. Did you find this article helpful? Please let Alex and myself know by leaving us your valued comments in the comments section below. Until my next (and slightly different) post on Friday on how to match a speaker's style to the audience, enjoy the rest of the week! Navigating through Google AdWords to create optimized, ROI producing campaigns can be an extensive process. Especially with all the new features, best practices, and changes that the Google brand grows to encompass. With Google's full transition into "enhanced" campaigns, there are a lot of new features with some interesting benefits to advertisers. The most interesting improved features of this update are within the site link extensions. From general campaign extensions to specific ad group level extensions, there is a lot more data, and room for optimization. For a broader view on the "enhanced" changes check out this article. In a picture of grayed out tabs with the same type font, size, and coloring, you can find "Waldo" in the Ad Extensions tab in Google AdWords. As a digital media manager, I worry about losing data but thankfully, Google seems to have recognized that and provided an "upgraded" view or "not upgraded" to see the data history of your extensions. The data history view lets me know I can find Waldo on any time frame. This is especially important as your campaigns grow and become more extensive. For basic, limited budget campaigns, simply creating campaign level extensions may be sufficient, however for those decently budget accounts, utilizing the specific ad group level extensions will help you create the most targeted, relevant, and potentially money-making ads; or in other words, a massive version of Where's Waldo. Create more granular extensions at the ad group level, for targeted, direct, and correlated links. Pair complementary shopping items, geographically correlated items, or any other method of grouping to help improve ROI. Set a schedule for your extensions, use the most profit driven times of the day or days of the week. Segment by day of the week, time of day, monthly, etc. to maximize the most profitable times. Create mobile specific site-link extensions; speak to mobile users through location text or other mobile targeting terms. 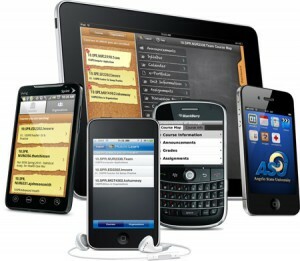 Setting different extensions for different devices will maximize your efforts with optimal text. Each extension is now singular rather than as a group, much easier for reviewing for eligibility and changes across all ad groups that include that site link. Hold on to you data history for comparisons and optimization. Review data based on all devices, and targeting methods over time to infer which methods will bring the most profitable business. Optimize on an individual basis for performance, ROI, CTR, etc. Enhanced site-link extensions allow advertisers to move away from 1 set of site-link extensions per campaign to a much more targeted, in depth strategy. Having the ability to customize at an ad group level and display extensions that have specific, relevant information on each service, function, product, etc. allows for cross selling and potential profit. With any AdWords extension, research, testing, and optimization are the keys to succeeding. It is never a one stop shop but a continual service in need of constant monitoring to achieve the best possible outcome for your paid search tactics. Now that this upgrade has officially been upgraded, it's very important to customize your account and make sure your ads are the best in your industry. Research your competition and the industry you work in to maximize your efforts. For more optimization information check out this article on generating ROI from your PPC text ads. Google has also announced several more upgrades that will be coming soon, including Google Maps Ads and updates to the Analytics user-face. So keep an eye out for my next article about how to use these upgrades to your advantage. Until my next post on Wednesday on four blogging mistakes you should avoid, have a great and productive week ahead! A major mistake that many companies make is that they direct advertisements back to their homepage. This can be costly since customers will typically leave the site if they do not instantly see what they are looking for. Whenever possible, you need to ensure that the advertisements go to a specific page that is relevant to the customer. For example, if a customer is looking for "kitchen faucets," you need to ensure that the advertisements direct the customer to a specific page on your website about kitchen faucets. If you direct them to your homepage, it is very likely that the customer will only go straight back to Google to do another search. Unfortunately, such an action means that you will likely lose the customer to your competition. If you accept all of the suggested words supplied by the Google AdWords Keyword Generator, you will run into a lot of trouble. Unfortunately, the list that you receive will have a lot of unrelated and generic terms that will not benefit your business. By accepting all of the keywords, you will not target the right audience that will ensure engagement and sales. For example, if you are a chef, very generic words such as "cooking" or "chef" may not greatly benefit you. Instead, you should focus on narrower keywords with true buying potential. A good thing about using a Google AdWords campaign is that you are able to choose negative keywords to filter out unwanted clicks. Unfortunately, many people do not use the feature and learn a very expensive lesson the hard way. For example, if you sell computer equipment or software, you may want to use negative keywords such as "panels" or "treatments" to avoid being confused with the home improvement industry. If you have a local business, it is crucial that you localize your campaign by setting up specific ads for searchers in a specific area. By providing your zip or area code, you will be able to target people living in your area that will be more likely to visit your business. Unfortunately, a lot of money can be wasted if you do not specify this and instead try to entice people from halfway across the world. When you have a campaign in place, it is an absolute must that you test your advertisements to see what works best. You will need to track every aspect of your campaign to determine what is working and what is not. Once you have the information handy, you will be able to tailor your advertisements to generate the most success. 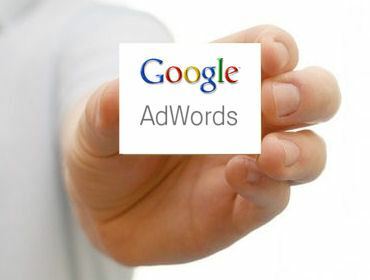 As you can see, there are many things to take into consideration when you undergo a Google AdWords campaign. By knowing the common mistakes to avoid, you will better situate yourself to achieve success. About The Author: Lorraine Gray has spent a lot of time using Adwords in her clients advertising campaigns. She likes to blog about her experiences on various marketing websites. Until my next post on Monday on Google AdWords Enhanced Site Link Extensions, enjoy the rest of the week and have a fabulous weekend! See you back here on Monday. For big organizations, improving search engine optimization (SEO) is often a matter of paying several thousand dollars to one of the top professional SEO agencies, and then sitting back to watch the results come in. But if you're a small business with a marketing budget to match, chances are you don't have those kinds of resources. Does that mean you have to forget about SEO, and just hope your website gets traffic some other way? Not at all. There are plenty of ways to put together an effective SEO plan on a shoestring budget, and ramp up your website's visibility in search engine rankings. Here are some steps you can take now to improve SEO for your small business website. In order to improve your SEO, you need to know what kind of shape your website is already in with regard to optimization. The first step for a large SEO firm is usually to conduct an SEO audit that delivers essential details on a website's strengths and weaknesses. 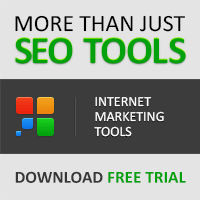 You can perform this step on your own by downloading a free SEO analysis tool. There are several out there to choose from. Traffic Travis is one of the most fully-featured free SEO programs available, and offers detailed insights into deficiencies on your website's pages. SEO is not an event - it's a process. If there was a simple formula for shooting websites straight to the top of search engine results...well, we'd probably break the Internet. If you're not familiar with the basics of SEO, now is the time to do a little homework and start applying some of the strategies. Make sure your title tags and heading tags are optimized with your target keywords. If you're not sure which keywords you should target, the Google AdWords Keyword Tool will generate suggestions (and it's free!). It's easier to rank your website for local keywords than general ones. 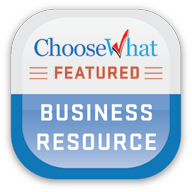 For example, if you own a bakery in Pittsburgh, make sure phrases like "Pittsburgh bakery" and "best bakery Pittsburgh" appear naturally in your web copy. If you have a blog, keep it populated with fresh, timely, and relevant content, with your target keywords woven naturally throughout the posts. If you don't have a blog yet, now's the time to get one. You can integrate a basic WordPress blog for very little cost. For more basic SEO strategies, check these resources: SEO for Startups: 5 Rules to Apply Now and On-Page SEO Factors: Which Ones Have the Most Impact on Ranking. Identify some reputable sites within your industry that have high Google page rankings, and then offer to contribute free guest posts to their blogs. This is an easy, cost-effective way to boost your own site's page ranking and establish credibility for your company. For professional SEO help, you don't have to hire a full-service agency to overhaul your website. Content is the most important factor in SEO, and it's often more cost-effective for small businesses to hire a freelance writer to create new website content, write SEO blog posts, and other optimization tasks. 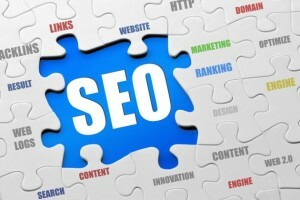 If your budget allows, you may want to enlist the services of an SEO firm. This is particularly beneficial if you're overhauling your current site or building a new one from scratch. If you do go this route, it's best to partner with a firm as early as possible, so you don't find yourself having to fix costly mistakes later. Look for a consultant that offers ad-hoc or customized services, so you don't wind up paying for more than what you need. About The Author: Melissa Rudy is a freelance writer with Words by Melissa in Cincinnati, Ohio. 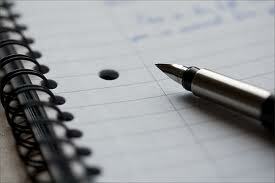 Melissa and her team specialize in web copy, blog articles, case studies, press releases, and other freelance writing. Did you find this article helpful? Please let Melissa and myself know by leaving us your valued comments. Until my next post on Friday with a list of online marketing strategies small businesses can use, enjoy the rest of the week! Are you giving your customers an experience they'll never forget? Just because you own a business doesn't mean you don't know what it feels like to be a customer. Take a step back and imagine just how much your experience doing business with a company has an impact on whether or not you'll become a loyal customer. If the company goes above and beyond to make you happy, you're likely to refer your friends. On the other hand, if the company makes you feel like a number rather than a person, you wouldn't think twice about buying again. If you're looking for ways to improve your customer's experience, here are six tips to keep in mind. Do you have a set of guiding principles your employees can follow to set the expectations for every customer contact? If you don't, now is the time to create one. If you set a core set of principles, you can define what is required of your staff when they're in contact with clients and prospects. Having a set of guiding principles will help your employees have a guideline for what is expected of them and how to meet expectations. The guiding principles can help with quality control. Do your staff members feel an emotional connection with your staff when they call or come in the office? You'd be surprised at just how important having an emotional connection is. 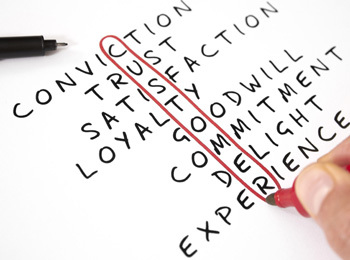 A customer who feels a connection with a representative within your company is much more likely to stay loyal. Be sure your representatives are making the effort to make the lives of your clients better to improve the customer experience. One of the simplest things you can have your employees do is smile whenever they see a customer. Having a smiling environment will help your customers feel more comfortable. They will also be more likely to return to your store. Understanding your customers needs and wants is all about being empathetic. You'll need to train your staff how to identify different personality styles, and which methods of empathizing with each personality type of most empathetic. You'd be surprised at how different your approach should be with an extrovert as compared to with an introvert. There is no better way to improve your customer experience than to hear what your customers have to say. Customer experience management systems are an effective way to capture real-time insight that you can use to change principles. With customer feedback software systems, you can identify and deliver what the customers really want. Make sure you consider your customer's input and try to implement the suggestions you can. Do you give your employees surveys? If you don't, now is the time to do so. While customers know what they want, employees are the only ones who truly know what is holding them back from delivering exceptional service. Find out where the challenges lie so that you can resolve common issues. You need to monitor your employees to ensure they are complying with the principles and procedures you have taken time to create. While quality assurance monitoring is important, you have to be willing to use the feedback to coach each team member. Without coaching, things will not improve. Customers are paying for more than just a product or service; they are paying for an experience. Identify what must change, be proactive and take action to exceed the expectations of your clients. Until my next post on Wednesday on SEO on a budget, have a great and productive week ahead! Regular phishers send out random phishing e-mails in an attempt to hook as many people as possible into giving away sensitive information. Spear-phishing is a more targeted and insidious pursuit. It targets specific people and entices them to reveal information to cyber criminals. Cyber security professionals are constantly updating their tactics to compete with and stay ahead of these cyber criminals. Cyber-criminal-turned-security-consultant Kevin Mitnick says that cyber criminals can easily find targets for spear-phishing through social networks. "I can go into LinkedIn and search for network engineers and come up with a list of great spear-phishing targets," Mitnick explains. "Then I go onto Twitter or Facebook and trick them into doing something, and I have privileged access." Twitter, in particular, has become a frequent spear-phishing target. Knowing how these attacks work and how to avoid them can prevent the loss of important data. When people receive direct messages on Twitter that look like they're from legitimate connections, they may be tempted to click on malicious links. A recent example of a direct message spear-phishing attempt involved a Twitter direct message that said something like, "Funny picture of you, check it out, LOL" followed by a shortened URL. When the user clicked the link, a fake Twitter login screen appeared. The user entered credentials and gave the criminals control of the account. Never open a link that you receive in a Twitter direct message. You can always confirm whether or not the person actually sent the message by calling or e-mailing to verify its authenticity. Check the URL. In this case, before logging in, check to see that the domain name is "twitter.com." Some criminals may use a URL like "iwltter.com" that looks legitimate when the user only glances at it. Think about the context. Never click a direct message that seems suspicious in any way. Suspicious Apps Asking You to "Login With Twitter"
In April, an app called "socialme.me" circulated around Twitter. The app claimed to use information like a Twitter user's age and number of followers to calculate how much time the user had spent on Twitter. Users simply clicked a button on the app's home page that said, "Login With Twitter." This app was another way of obtaining Twitter login credentials. Avoid "Login With (Social Network)" buttons. If you want to post to social media through an app, then do it manually instead of allowing the app to have automatic access to your account. Use different passwords for everything, and change them regularly. For example, don't use your Twitter password as your bank account password. Some Twitter links can inject a "man-in-the-middle" attack into your Web browser. For example, a recent Twitter spear-phishing attack from the Netherlands involved targets receiving a tweet from a trusted connection that said, "Beyoncé falls during the Super Bowl concert, very funny!!!!" When users clicked the link, malware took over their Web browsers and looked for vulnerabilities to exploit. When the unknowing users logged in to other sites, such as their financial institutions, criminals automatically had their banking login credentials. Keep your antivirus software up to date. Download updates immediately, or set your program for automatic update. Always install patches and operating system updates. Of course, software updates and patches pop up for installation when you're in the middle of a project, and you probably don't have time to download them and restart your computer. Think of it this way: You don't have time for a malware infection or identity theft, either. Just stop, drop what you're doing and download the update. Respond quickly if someone reports unusual tweets from your account. If a friend tells you that your account is sending out strange or spammy tweets, then go to Twitter's login page immediately and change your password. If you've used that password on other accounts, like your online banking service, then change the password in those places as well. About The Author: James Hallowell provides social media consulting services for a number of SMBs and enterprises throughout North America. Did you find this article helpful? 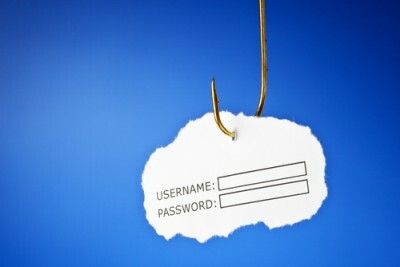 Have you been the target of spear-phishing on ‎Twitter? Please let James and myself know by leaving us your valued comments. 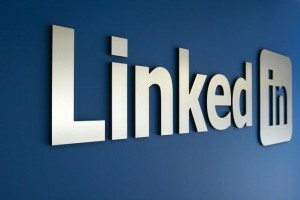 Until my next post on Monday with ten tips for small businesses using LinkedIn, be safe online and have a wonderful and relaxing weekend! 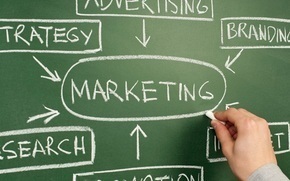 With all the buzz on internet marketing, every company seems to be doing it. Their aims? To gain more clients, open up opportunities for revenues, and even step their game up a notch. Indeed, internet marketing can promise you these favorable circumstances. However with the onslaught of Search Engine Optimization, Link Building, and Content Marketing, the competition's beginning to be tough once more. Not only that, as the giant search engine is making ways to improve their searchability; internet marketing just gets more complicated than ever. Even if you're a white hat advocate or a black hat enthusiast, there's still that question left unanswered: Are you really doing something for your client's brand? Internet marketing has been on the hype recently due to the increased exposure it brings to different products and services all over the globe. It is without a doubt one of the most effective marketing strategies. With online marketing, even startup companies can go with the flow against the giants in their corresponding industry. Yes we do have different strategies employed to go neck to neck with the competitors of our clients, but we use them all the same. It all boils down into proper execution; the more Google loves your techniques, the more that you'll rank for a certain keyword that you're optimizing. This is where the marketing standstill begins; as you rank higher in the SERPs, you begin to gain more confidence. Thus, this confidence may either make or break your efforts; there is a tendency to neglect or taper down your previous efforts. The secret to making online marketing work is the outreach you have for your client. Remember that what you do reflects the vision and mission of the company you work for. Think of online marketing as your own business or company as well. You'd want to be a great company that offers the best of the best. A real business, with a real product or service aimed to deliver only the best to the consumers or target market. Marketing is simply promoting your product or service in order to gather consumers who are interested to avail or purchase what you offer. They are attracted to what they see, what they hear about your project, and what could they benefit from using your product or by availing your service. It might sound easy, but if you aren't a pioneer in the industry, clawing your way up is a tedious task. However, because of the digital age, there are innovations in marketing that can be utilized to easily promote our brand in the market; hence, marketing itself is a dynamic cycle that involves factors that greatly contribute to the welfare of one's brand. An online presence is what that matters. It all starts with a website, a blog, and social bookmarks. Establishing your online presence is a first step in getting yourself ready for the long link battle ahead. It pays to check back Google's Webmaster Guidelines and watch out for Google Webmasters updates on YouTube. 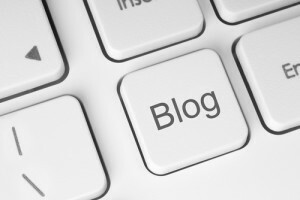 Update your blog frequently with relevant and informative content. Do site optimization while considering the user experience of visitors. Or the so-called off-site optimization, authority is one factor to back up your online presence. You may have an online presence, but you're still among the billions of web pages in the world without a voice. Proper outreach and rubbing shoulders with the influences in your industry can help leverage your status from zero to hero. As you share the fame from their followers, they will begin to follow you, too. It's an incorrigible and effective method to build authority and spread influence far and wide. Of course, if you are influential, you'll have your own set of followers. Followers who will promote your brand even without you saying so. They will be your mini-marketers; word will spread like a disease on outbreak. It's important that while you maintain your influence, you communicate with your audience through your social bookmarks. Hold a contest, share some Tweets, make some viral content; anything just to keep your audience entertained. Keeping these three in mind and continually running, your efforts can definitely add value since your not just interacting with Google's robots or crawlers; you're dealing with REAL people, who would help you get REAL results in marketing your own brand. Online marketing is not all about metrics and how many links you have gained; it's about the value you bring to your client and how useful your strategies were to increase their presence, authority, and engagement. Now, ask yourself; are you adding real marketing value for your client's brand? About The Author: Alexis Trinidad is the Head of Outreach for SEOteky Philippines and Martin Lindstrom - speaker, author and advisor. Did you find this article helpful? Please let Alexis and myself know by leaving us your valued comments. Until my next post on Friday on spear phishing on Twitter and how not to become the catch of the day, enjoy the rest of the week! In today's online world, one of the most important parts of any effective business model, whether it is for a small business or a major corporation, is ensuring that the company's online presence is visible to potential customers. This means that the company's website must have a high Google search ranking. However, in order to achieve this, a company must be prepared to modify its online presence, especially when "bad links" result in Google downgrading its search engine ranking. This is where using Google's disavow tool can become a vital part of any online management strategy. Bad links are links that not only do not improve the company's Google page ranking, but also can actually result in Google downgrading the page's ranking, whether it is due to manual action or an automated downgrade by the Google search algorithm. In some cases, a bad link may be the result of previous publicity strategies that have now run afoul of new ranking policies on the part of Google. For example, an advertising firm may have attempted to increase their client's page ranking by creating hundreds or even thousands of low quality and spam style links. In other cases, these bad links may have been created by third parties that are not under the direct control of the company. In many cases, these low quality links will result in Google taking action against the page or domain, either downgrading its rank or in some cases, removing it from search results entirely. That can be disastrous in today's increasingly Internet oriented marketing environment. 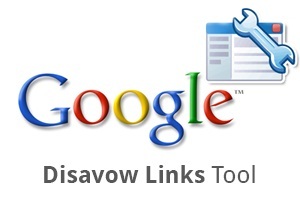 The Google disavow tool is designed to effectively remove these bad links. 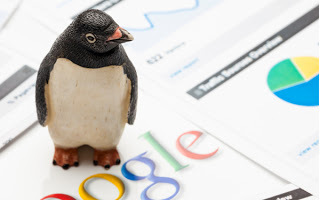 Essentially the tool tells Google to no longer count those links in its algorithm. Disavow has the same effect as putting a nofollow tag on a link. In addition, the disavow tool can be used to eliminate entire domains from consideration in addition to individual links. In many cases, this may be a wise decision since these domains are unlikely to include any high quality links. Removing links and domains with disavow has several advantages. The first advantage is that it can prevent the individual from ever suffering a downgrade in the Google search rankings by pre-emptively controlling low quality links. Secondly, if Google has already taken action, using the disavow tool can be an excellent way to remove poor links in preparation for submitting a reconsideration request to Google. Another advantage of the disavow tool is that it can effectively provide a defence against negative SEO campaigns. These actions, often by competitors or electronic vandals, attempt to flood the Internet with a vast number of low quality links, without the owner's consent or knowledge. By using disavow, the owner can quickly and effectively remove these links from Google's consideration, effectively defending his or her page rank from these unethical attacks. Ultimately, using the disavow tool can be a powerful and proactive way to protect a page from the damaging effects of bad links. Whether it is due to a malicious negative SEO campaign or simply the result of overzealous advertising attempts, bad links can become an anchor, dragging down or even sinking a page in Google's search rankings. By using the disavow tool, the owner can help ensure that his or her page remains at the top of Google's search rankings, rather than being consigned to their depths. Until my next post on Wednesday on adding real marketing value to brands, have a great and productive week ahead!